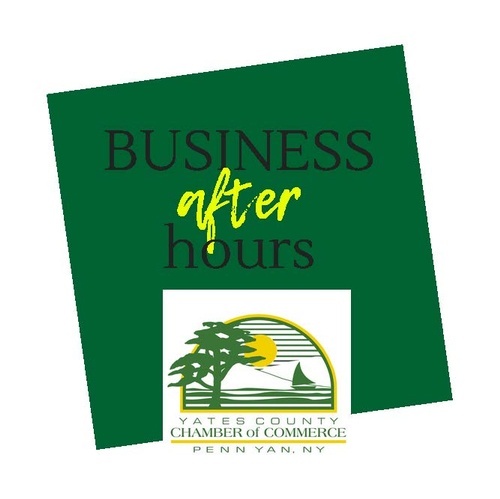 Business After Hours is the perfect opportunity to network in a fun, relaxed atmosphere. Not only is this a great way to showcase one of our community partners/Chamber members, but it is also a great time! 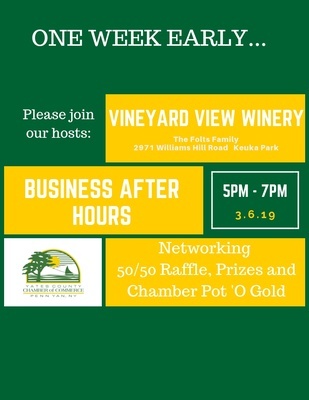 Make sure you bring your business cards for our prizes, 50/50 raffles, and of course, our Pot 'O Chamber Gold. You have to be there in order to win, so make a point to stop in for a couple of hours!